You are small business owner contemplating designing and Building Your Own Web site. If you have some basic technology and IT knowledge there’s no question that you can figure out how to build your own website. The question is this the best use of your time? As a small business owner you have many challenges every day to keep your business running, to drive sales, to produce and deliver the services that your company provides and solve many customer issues that you have. Every day is a busy day and everything must be prioritized to ensure that you focus on the most important things to your business. As with all of your business activities, some of the things that need to be done will be contracted out to contractors, or you may even hire employees to focus on specific aspects of your business. Building and designing your own website falls into exactly the same category. Why would you not hire a contractor, or an IT company to build and design your website for you following the guidelines that you provide? Assume that you have made this decision to hire an IT company to build the website for you. The next question is what kind of website should you build and how much did you want to pay? If you’re new to this we suggest you start with the basic website that documents and tells your visitors a little bit about your company, the services or products that you provide and how best to get in touch with you. You may even want to allow visitors to leave comments on your website for later follow-up by yourself or one of your employees. There is a commitment implied that spans several areas. One is the cost to develop and implement the web site. Another is to maintain it and keep the information current on the side. Finally there is the need to support your customers on your site in terms of providing them with current information. This can be a lot of work depending on the business. We can provide you with the basic website. It will contain five or six pages with both text and images that you choose. You have an option of being able to update these pages on your own once they are created. Customers can also add new pages based on topics that you would like to provide. We can also add pages for you based on input and requirements that you specify. This is a great way to get started with your own company’s website at very little cost. You can later add to on your own or have one of your employees do it for you. Or have us add the pages describing your services and products. There is lots of flexibility which allows you to meet your own business goals. Give us a call or send us an email at your convenience for more information. Whether you are a new business in start-up mode or a business that has been around for a while, you have probably realized that you need to have a web site. You want your customers to learn about your company online. Many online companies just charge too much to get started. Then they want an arm and a leg to make any changes, add product pages and images etc. You would like to make some changes yourself. But they tell you it is either too complicated or they will not give you access. One company we know pays $500 a month for updates and minor changes. Anything that is more significant and it is not really clear just what qualifies requires a work order and a hefty hourly fee. There is an alternative to this approach and it costs a lot less. Well now you can have both. A business web site to get you started and an interface that is easy to use. As a result it allows you to create you own content without having to learn a lot of computer code or HTML, PHP, etc etc. Start up is inexpensive. You can choose between doing updates yourself. Or have us make changes or embarking on a full marketing program to increase you contact results. For more details, click here. We use WordPress as our blog engine. 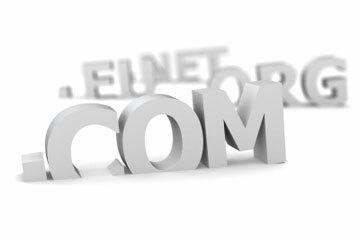 Which has been used by millions of web sites all over the world. It has many plugins or widgets and theme templates that allow us all to create web sites that are easy to view, to update and to add to. This system can easily be used by many people who are not familiar with blogs or designing web sites. We set up the basic site for you. We will create the look and feel that you want to present to your potential customers. There will also be a contact page that they can use to contact you if they have more questions or would like someone to call them to set up an appointment. Many small business owners have found that by having a web site, they are able to increase sales and customer contacts. A list of frequently asked questions can also reduce your overall load on your sales team and your reception. You also ensure that your own people are using standardized answers for all of the questions that customers typically ask. Give us a call or send us an email today. We will be pleased to discuss your needs for you . We can set up a web site that meets your companies personal needs.